One thing I love to have in our home are photos on the wall and personalised items around the home. I really do think it can make a house a home with personalised items and photos around the home. 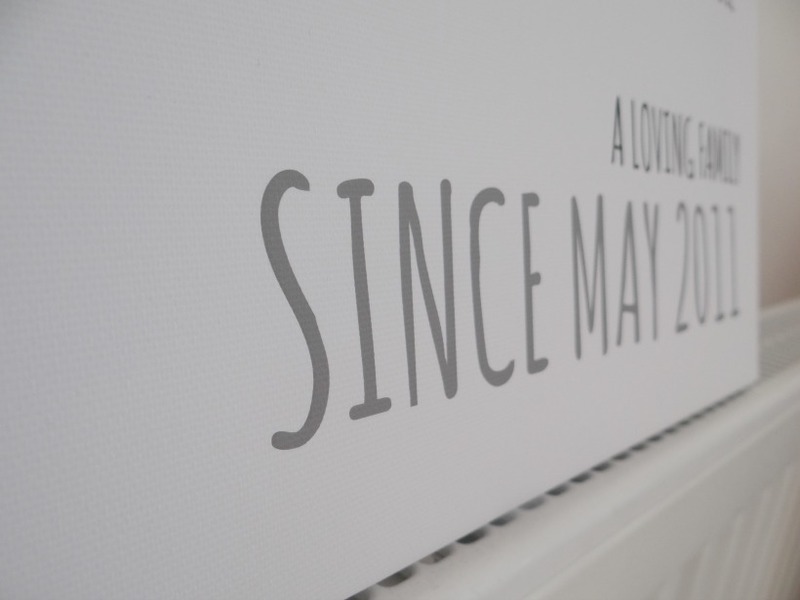 I recently recieved a personalised canvas from Posh Canvas. There were a few type of canvases to choose from but I decided to go with Family Icon Canvas because I thought it was really nice and quite cute too. 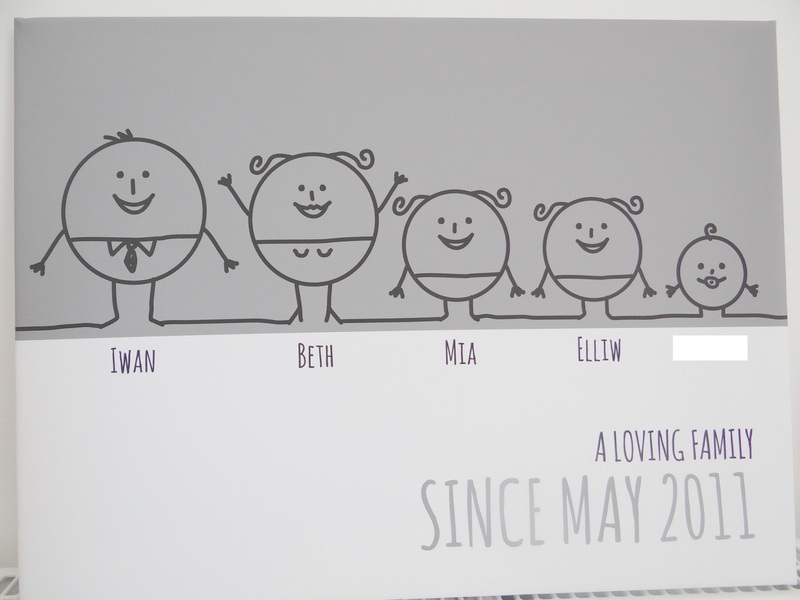 I have added baby boy's name onto the canvas but have blocked it out for this review post as it is a surprise! When I recieved the canvas I was very pleased with the quality of the canvas and the design. Once we have painted our living room it will go perfect on the wall and just in time for baby boy to join our family too. 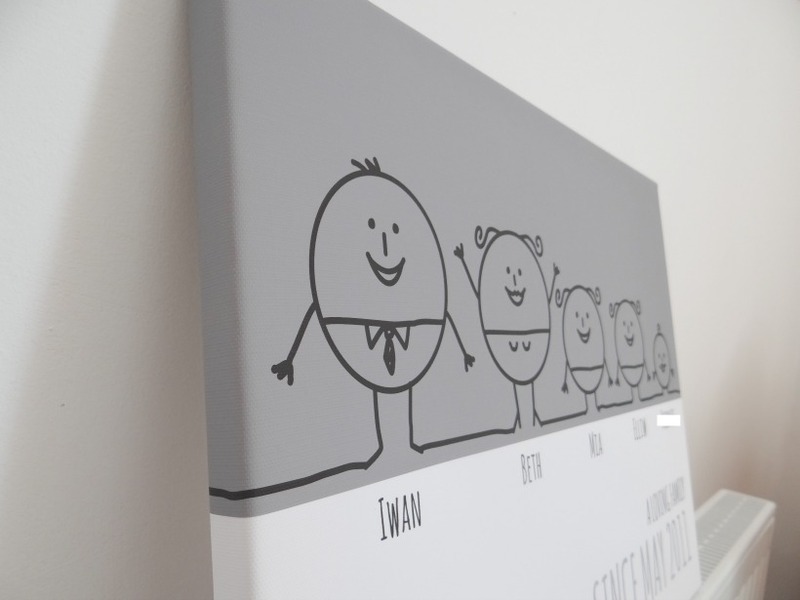 You can personalise each canvas to the way you want. There is a choice of size, a place to write which words you want and in the description it gives you a good idea how many words you can fit on the canvas. There is also an option to choose the colours for your canvas too. I decided on a grey background and black writing. I got what I asked and extremely pleased with it. I really can not wait until it's up on the wall. The canvas costs £25 for an A4 size. They also offer bigger size canvases at an extra charge. I would say the price is worth the item because of it's quality and I don't think you will be disappointed if you ordered. 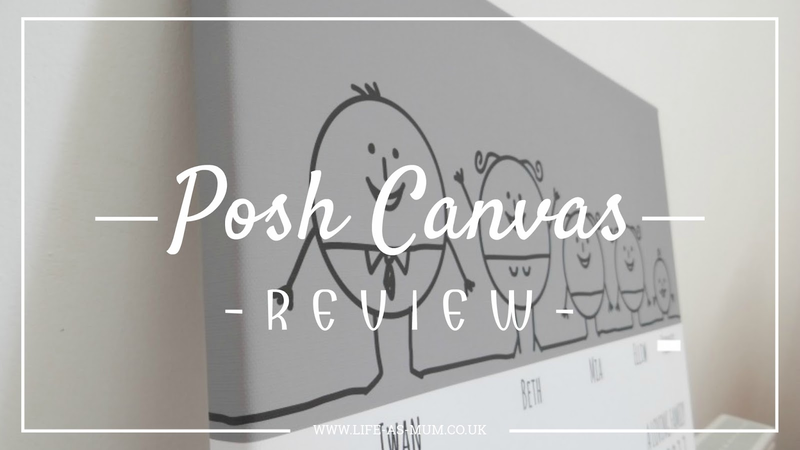 There are many kinds of themes to choose from on their website and I would really recommend Posh Canvas if you are looking for a high quality canvas.